An animal charity in Suffolk which had been threatened with closure has found a new site it hopes to develop into a new centre in the new year. Earlier this year, The Blue Cross said its animal adoption centre in Felixstowe was "not fit for purpose". It was opened in 1970 and a proposal to close it was dropped in May 2010. 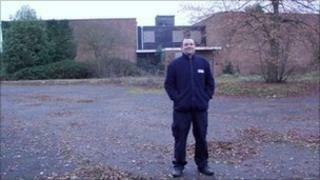 Now the charity hopes to apply for planning permission to develop the site of a former leisure centre known as The Hollies in Foxhall near Ipswich. At two acres, the site is more than four times the size of the current Blue Cross centre and is surrounded by fields and woodland. The charity wants to build a much larger adoption centre and veterinary clinic which could take in and treat many more animals. From the new location, it would be able to help sick and homeless animals not only from Felixstowe, but also Ipswich and the surrounding areas. Andrew Gillon, Blue Cross centre manager in Felixstowe said: "After a year of ups and downs, it's really exciting to be heading into a new year with major plans to make a huge difference to animals in need in our region. "Of course we were disappointed at first to have to look for a new site, but the prospect of a much bigger centre with modern facilities which can reach more animals in a wider area is like a dream come true. "It's the best Christmas present I could have hoped for." The public is being asked to help raise funds for the new site.